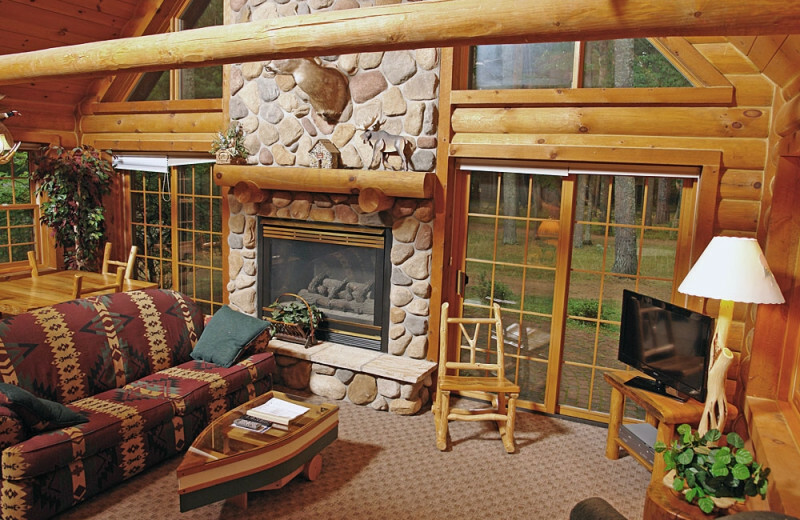 A Northwoods Nook for all Seasons! 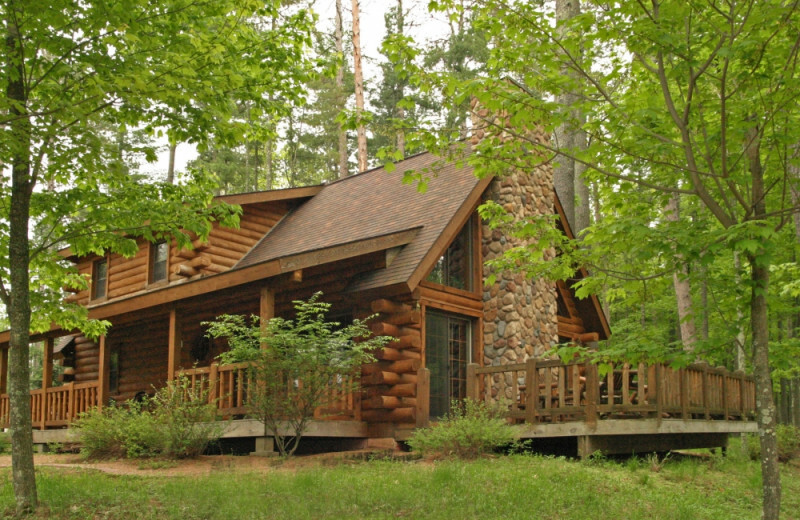 A pine-cradled fortress spread across 13 pristine acres, The Beacons of Minocqua is your four-season Wisconsin wilderness retreat! 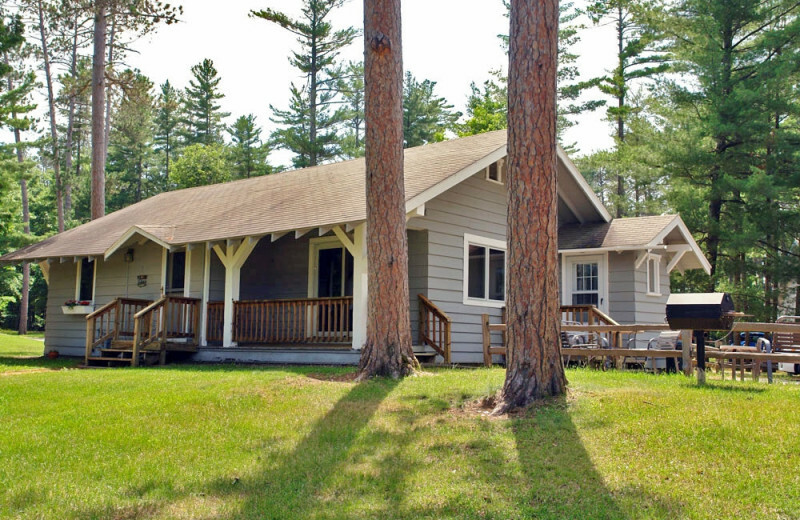 Just outside your door you'll find the sparkling shores of Lake Minocqua, which teems with water-fueled fun like fishing, boating, and swimming. For some dry fun, traverse the terrain of Bearskin Trail, 18 miles of smooth red granite surface designed for both hiking and biking. 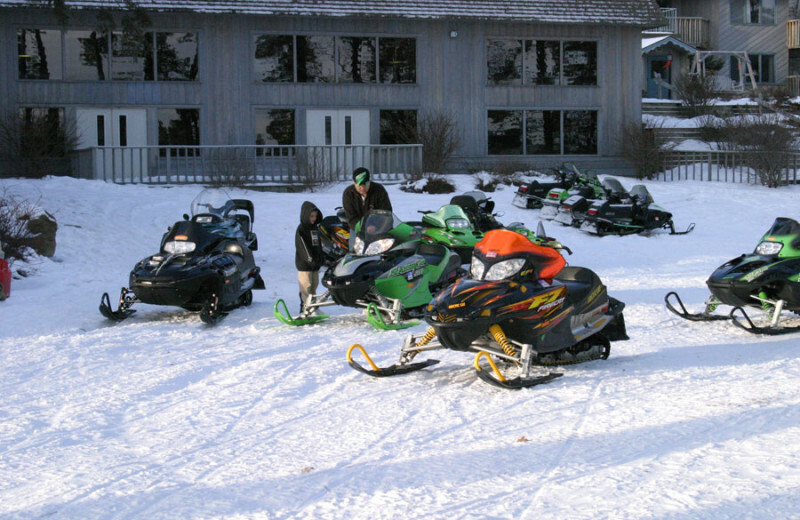 Activities continue throughout the winter, when 1,600 miles of professionally snowmobile trails and many more miles of cross country skiing and snowshoeing trails allow you to explore the snowy splendor. 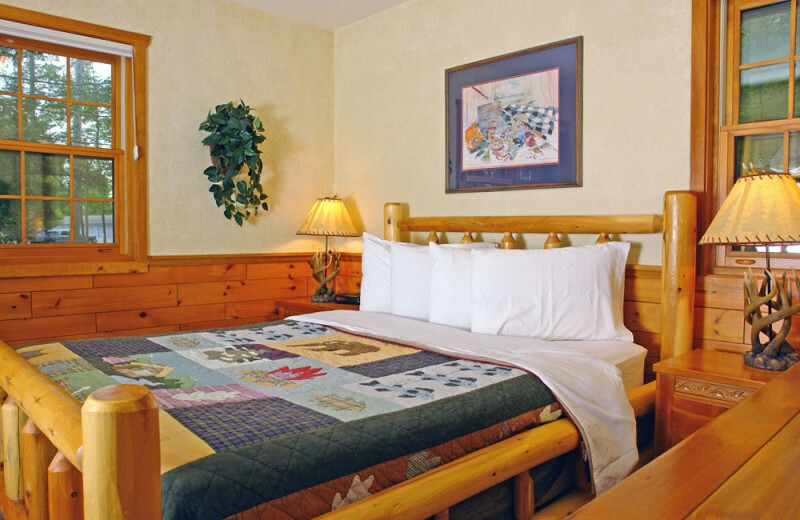 Head downtown and enjoy the numerous shopping, dining, and cultural attractions. 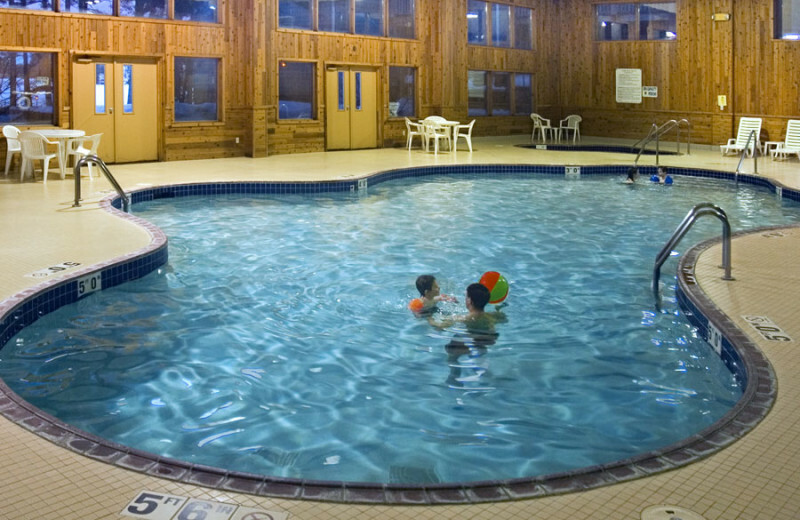 After a day of exploration, enjoy the relaxation of the resort. 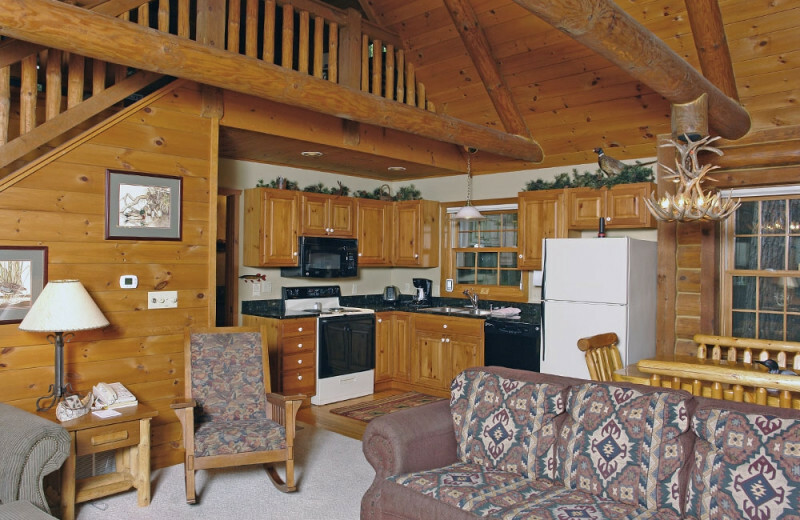 Spacious condos, log cabins, and cottages exude rustic charm while offering modern amenities like wireless internet, flat-screen televisions, and whirlpool tubs. 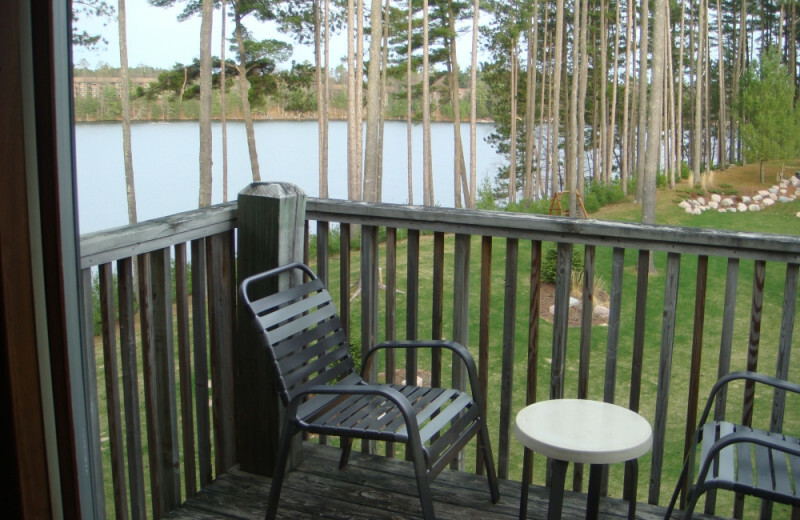 The unique decor adds a personal touch and private balconies and patios showcase idyllic lake views! 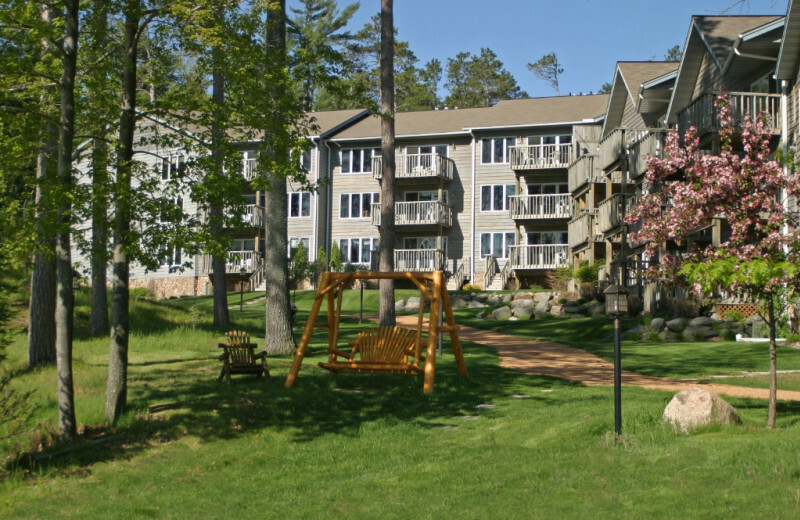 Located directly on Lake Minocqua, enjoy a Wisconsin beach vacation like none other. 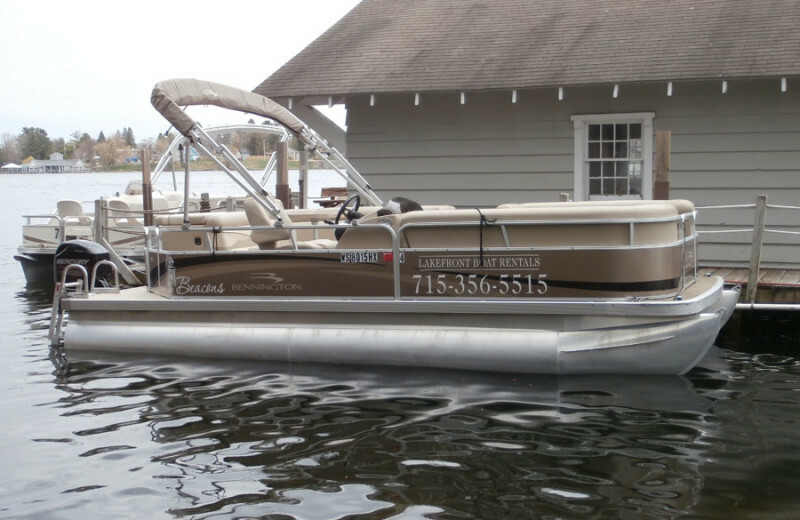 Get out on the water on a boat or splash around on the shore. Go out fishing or water skiing! If you're in a more relaxed mood, kick back with a good book. 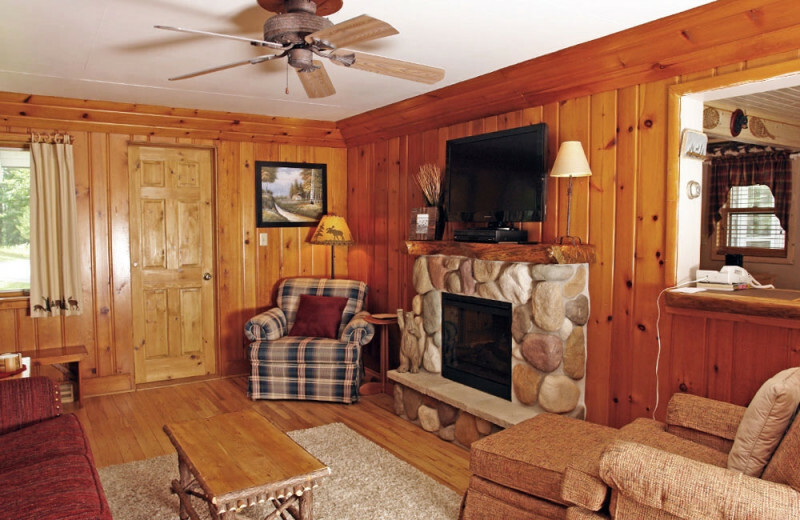 Book your next vacation at The Beacons of Minocqua today! 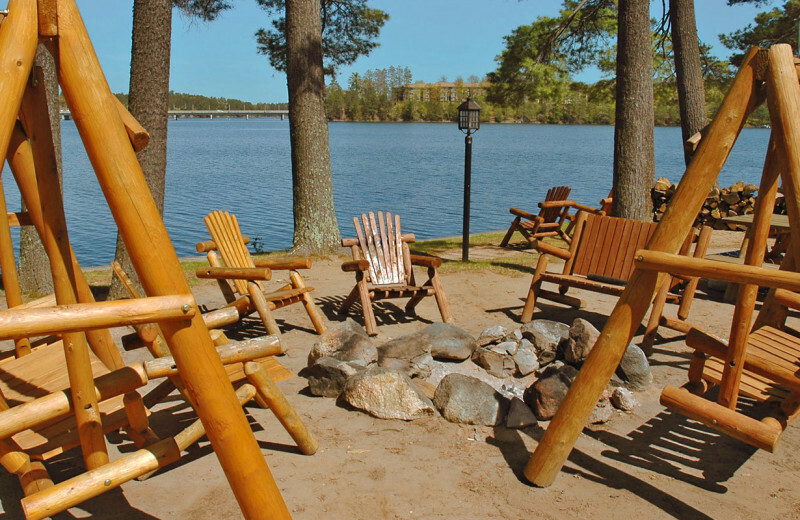 Families will find fun 12 months a year at the Beacons of Minocqua! In the winter, grab your sled or skates and head to the resort's own skating rink and sledding hill. 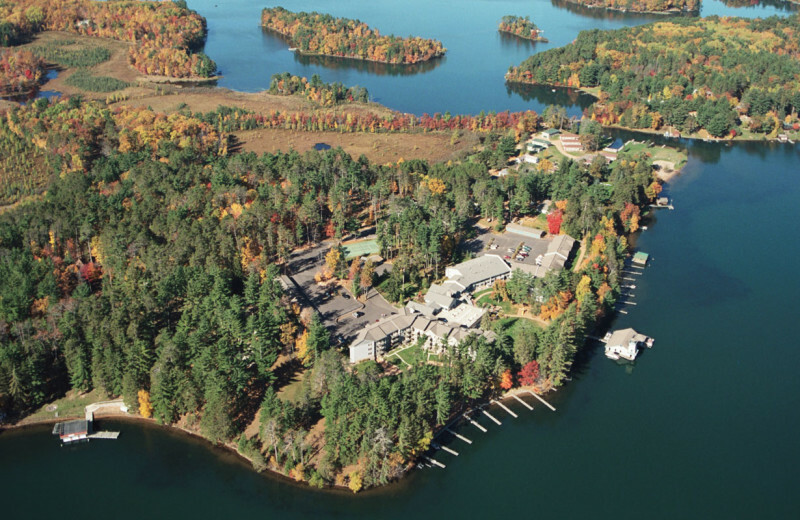 Summer offers plenty of hiking opportunities, as well as aquatic adventures on Lake Minocqua. 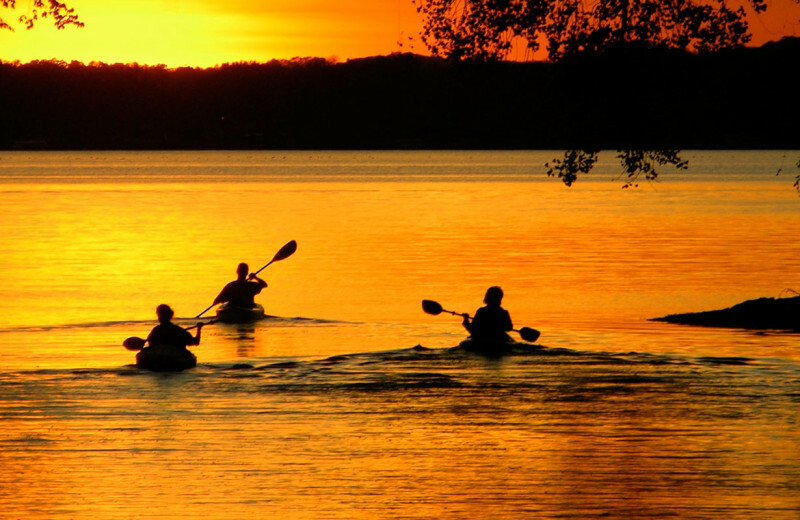 Try fishing, canoeing, or even a pontoon tour! 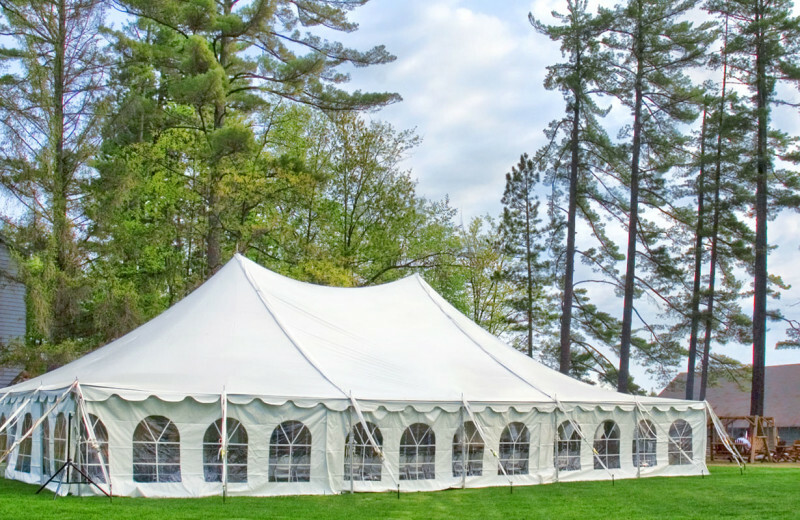 Make your dream day a reality at Beacons, which can accommodate up to 200 guests for your big day. 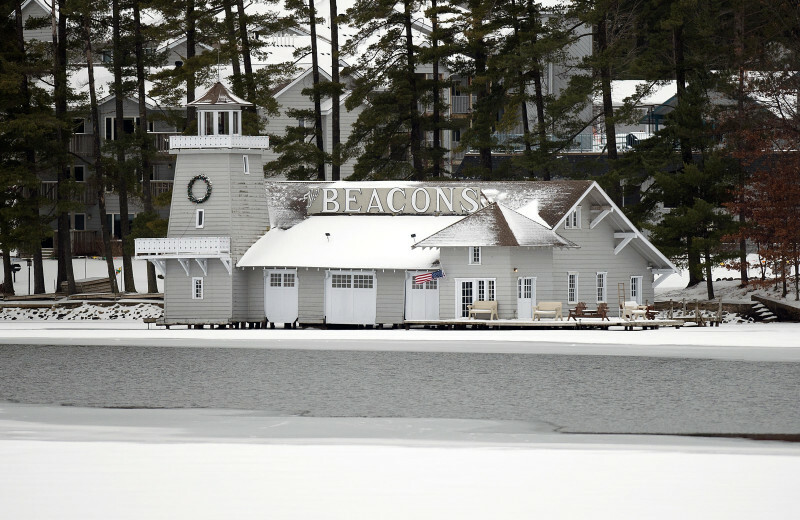 Nature serves as your backdrop and the historic 100-year old Beacons boathouse serves as the perfect place for pictures. 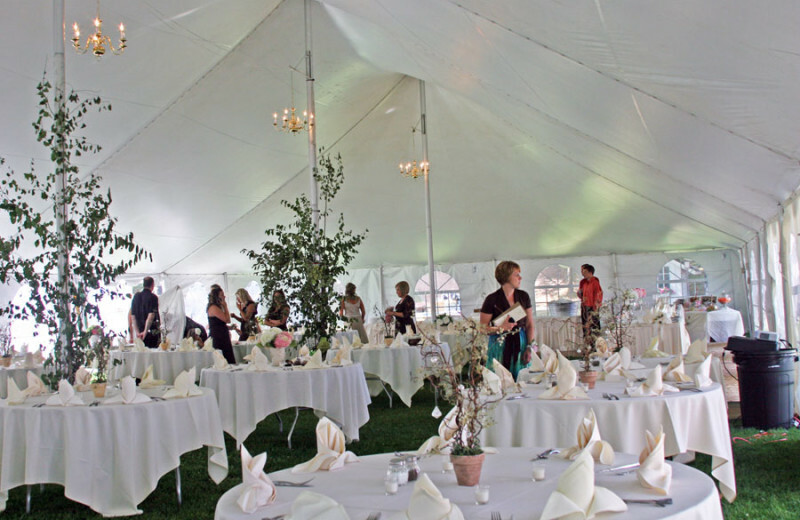 Full-service caterers and florists add the perfect touches to your unforgettable day! 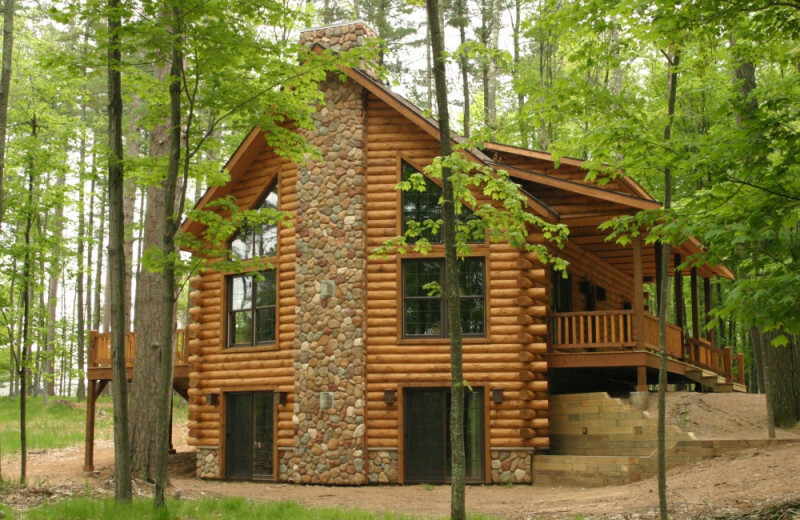 Nature surrounds you at this Wisconsin wilderness retreat! And, there's no better way to experience this natural splendor than on a nature hike with loved ones. 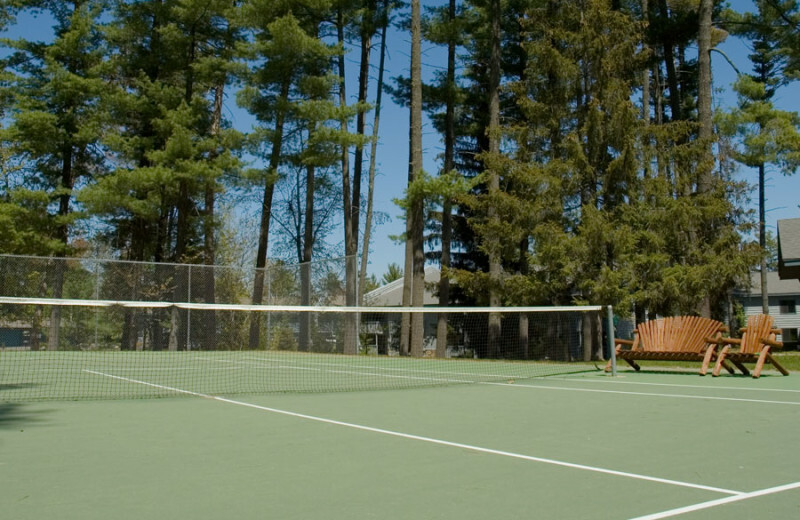 From the level land of the 11-mile, fully paved Crystal Lake Trail to the Raven's rugged, rolling hills that wind through dense forests near Inkpot Lake, you'll find a trail to fit your fancy! 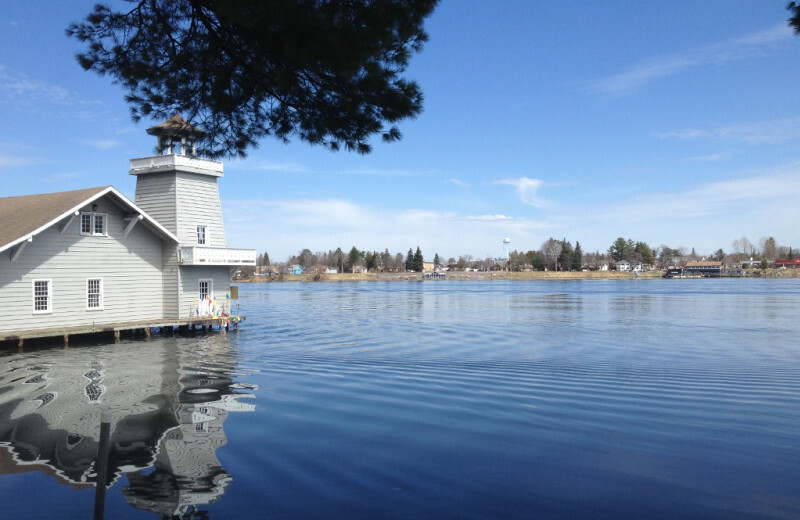 Whether you are a longtime musky angler or a parent taking the kids out for their first fishing adventure, the Minocqua area remains a premiere Midwest fishing destination, boasting more than 3,200 lakes, streams, and ponds in Oneida and Vilas Counties. 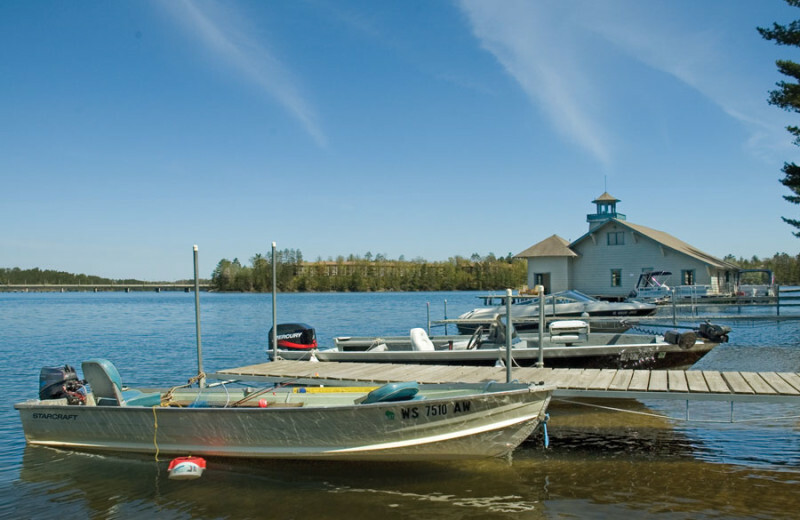 Stop by Kurt's Island Sport Shop or Rollie and Helen's Musky Shop to get updated fishing information. 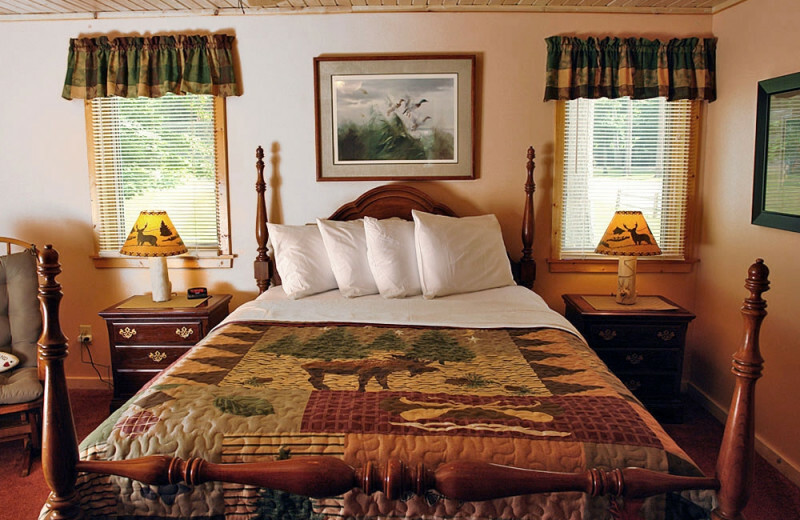 The natural splendor of the Northwoods inspires romance at Beacons. 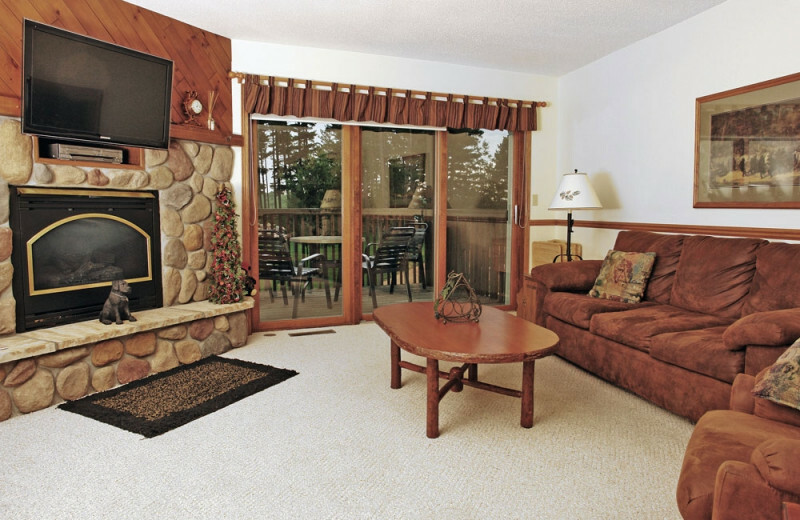 Soak in the scenery from your private balcony or patio, get close in the Whirlpool tub, or curl up beside the fireplace. 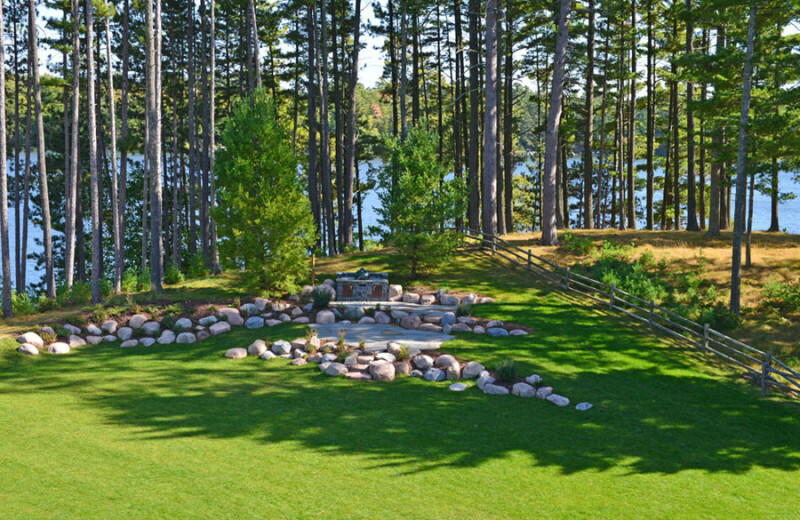 Embark on a romantic stroll through the miles upon miles of hiking trails or lie together by the lake! Who says you can't have fun on the flatland? 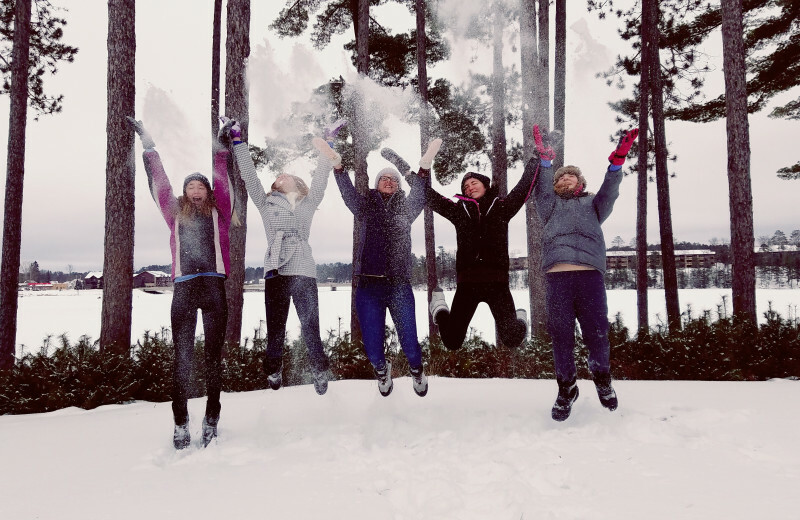 Cross country skiers can explore nearly 50 miles of trails at Minocqua Winter Park and over ten miles of trails at The North Lakeland Discovery Center. 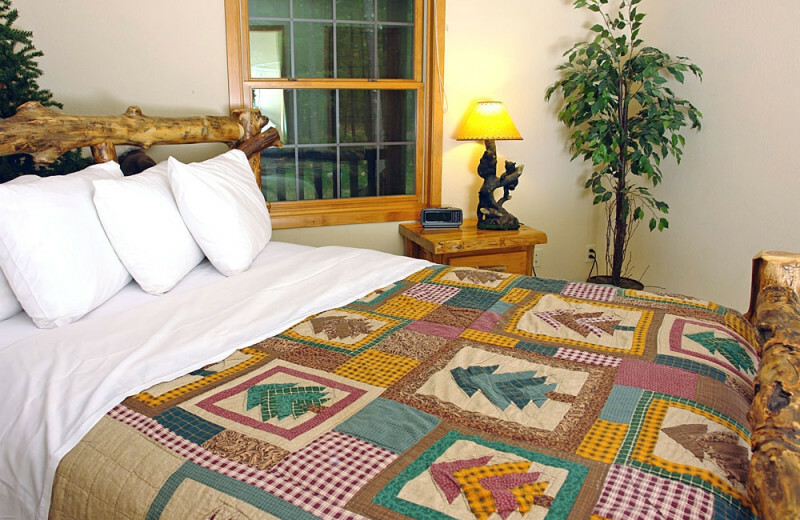 Guided excursions and a heated wax room are also available. 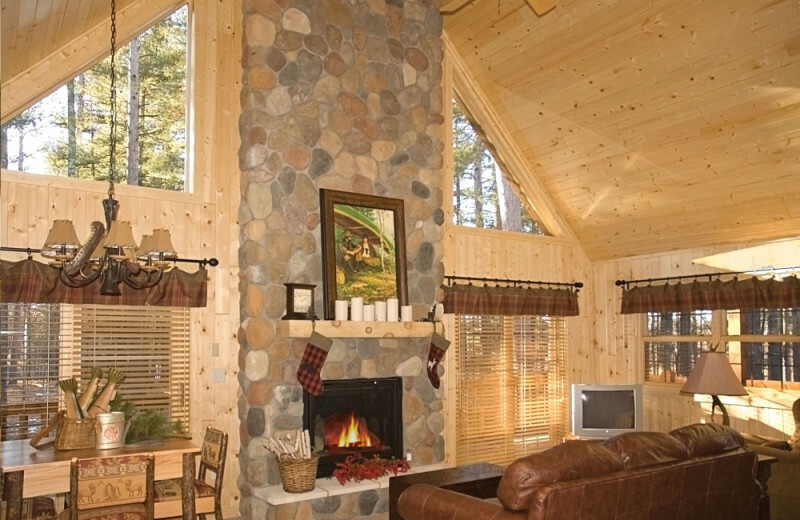 There's no better place than this for your next winter vacation! 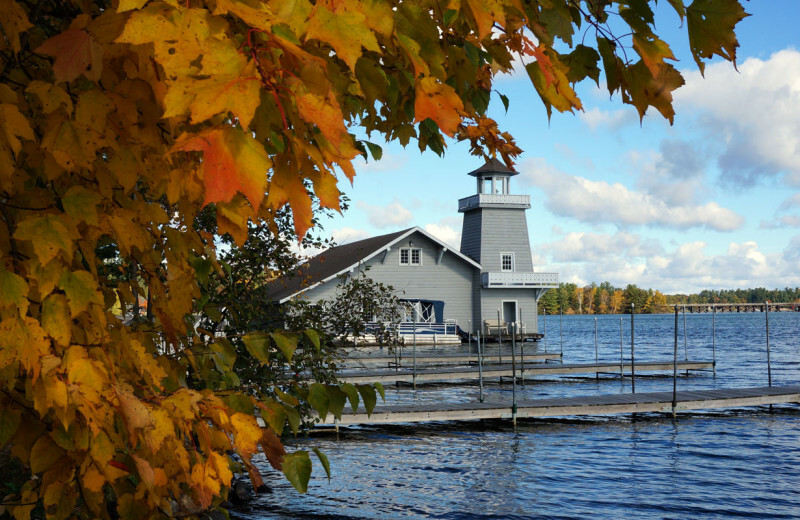 Situated on a 6,449-acre, five-lake chain, with 78.1 miles of beautiful shoreline, the Beacons of Minocqua offers plenty of aquatic activities. 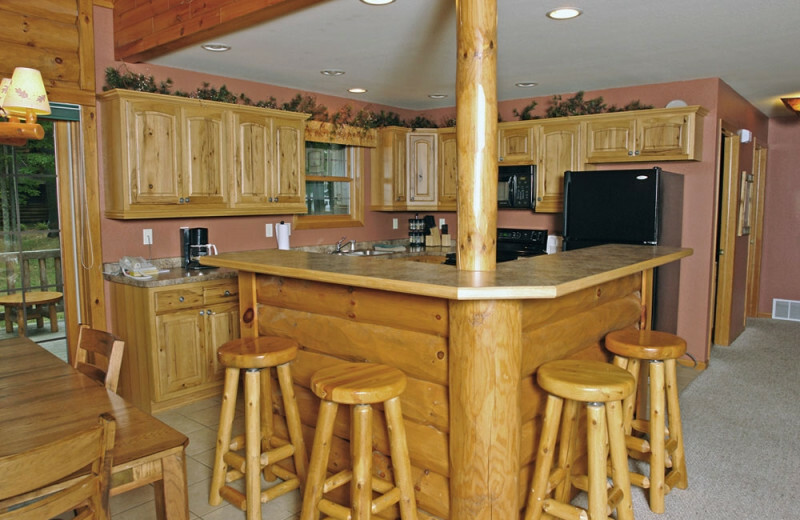 to enjoy on your Wisconsin getaway. 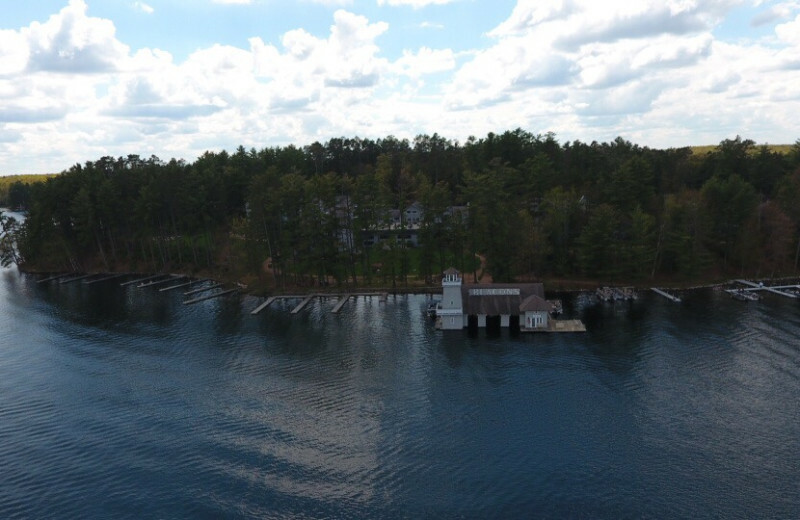 In fact, the resort showcases 825 feet of exceptional Lake Minocqua shoreline, perfect for a boating adventure, an angling expedition, or a canoe trip! 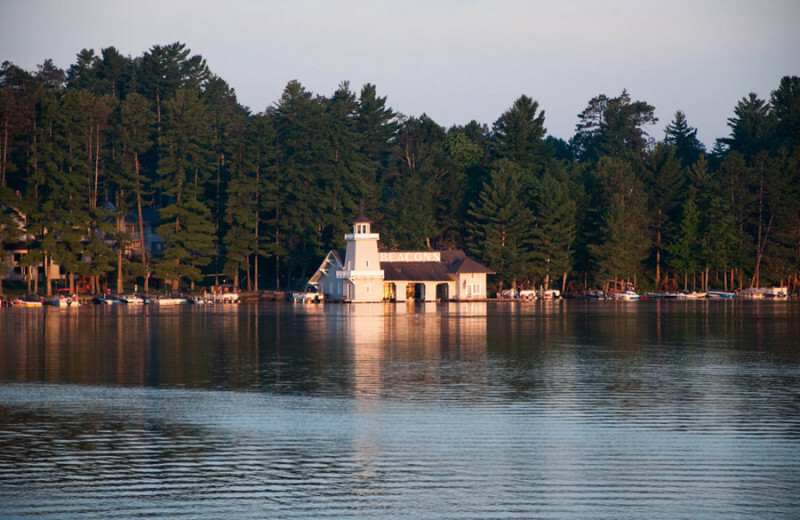 The Beacons boathouse is a Lakeland landmark, welcoming visitors to the area since 1908. 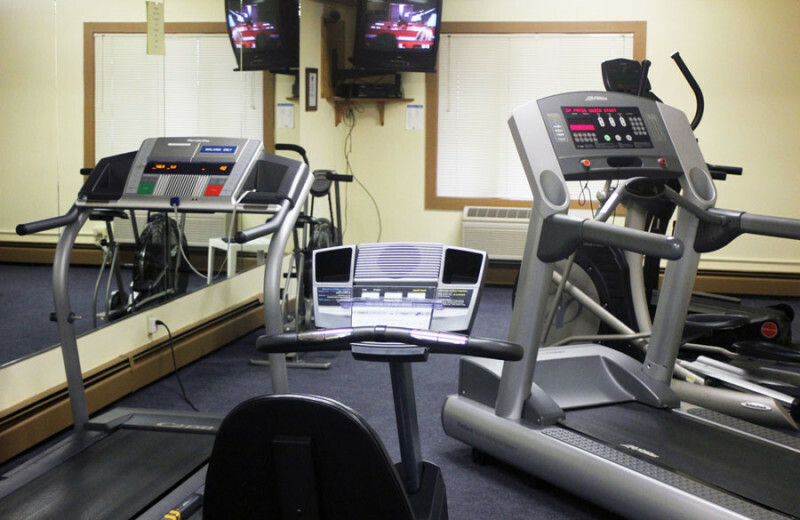 Familiarize yourself with the area at local museums, which range from vast collections of early snowmobile memorabilia to in-depth studies of the town's logging history. Or, head to the George W. Brown Jr. Ojibwe Museum and learn about this unique culture! 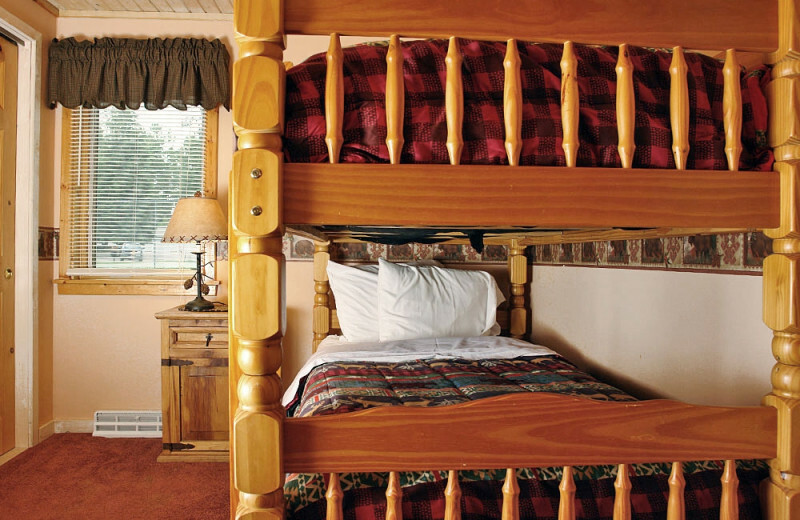 The Beacons of Minocqua in Wisconsin is the perfect destination for your honeymoon! 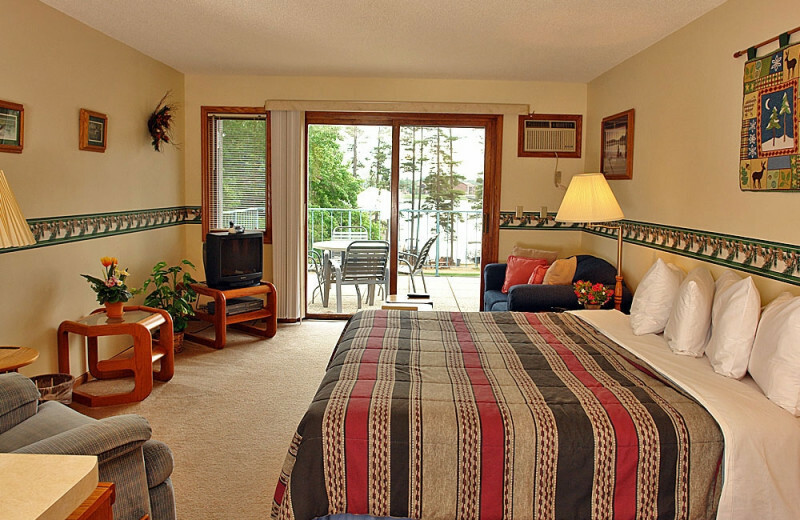 Enjoy accommodations right on Lake Minocqua. 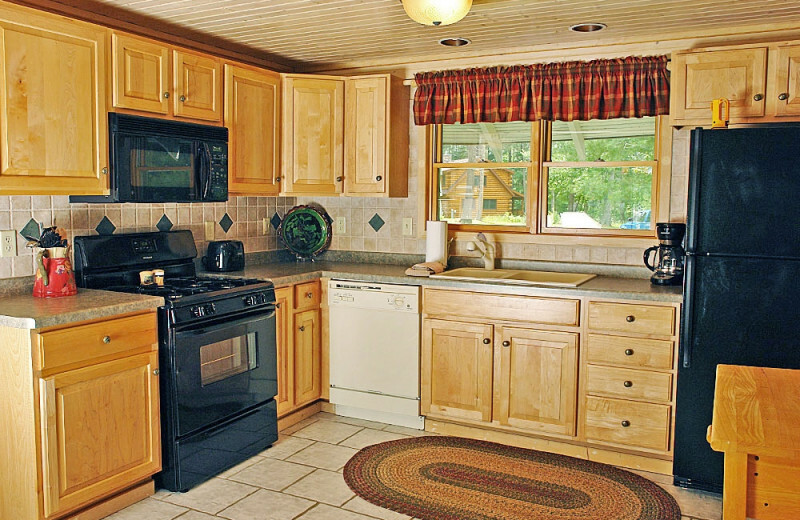 During the day, enjoy lounging on the beach, or head out on a fishing trip! 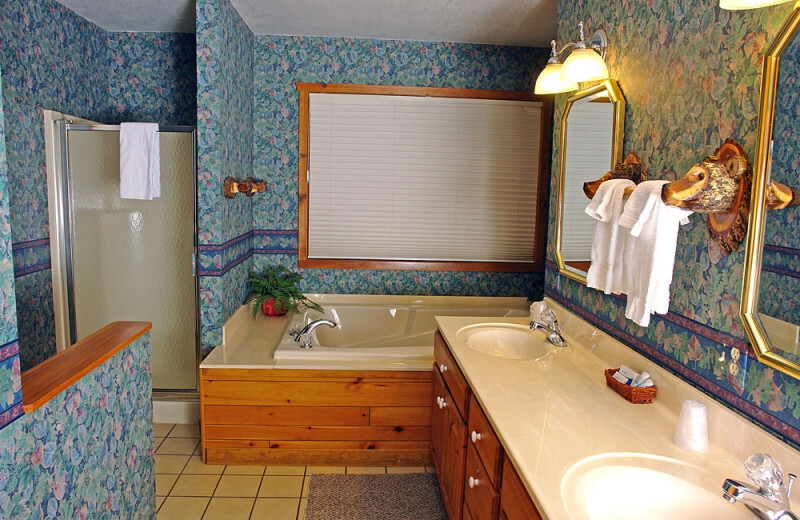 At night, curl up by the fireplace or jump in the hot tub and dream about the rest of your lives together! 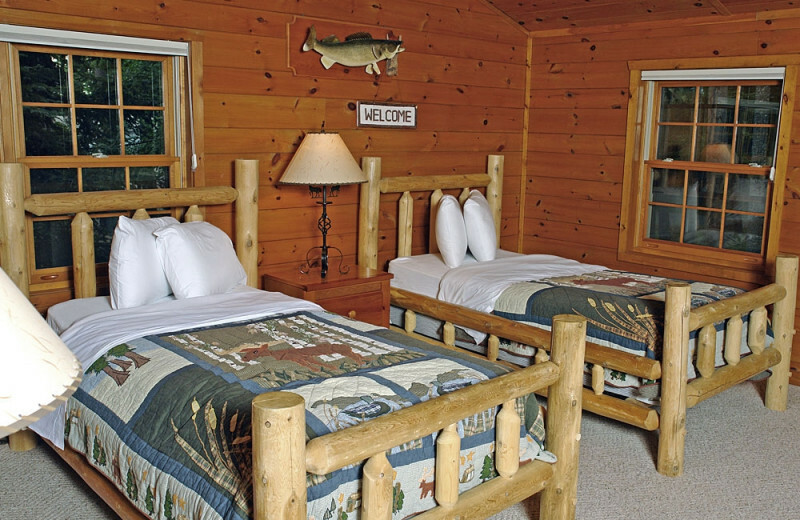 Two- to four-bedroom log cabins feature a rustic yet refined atmosphere of knotty pine interiors and exceptional amenities. 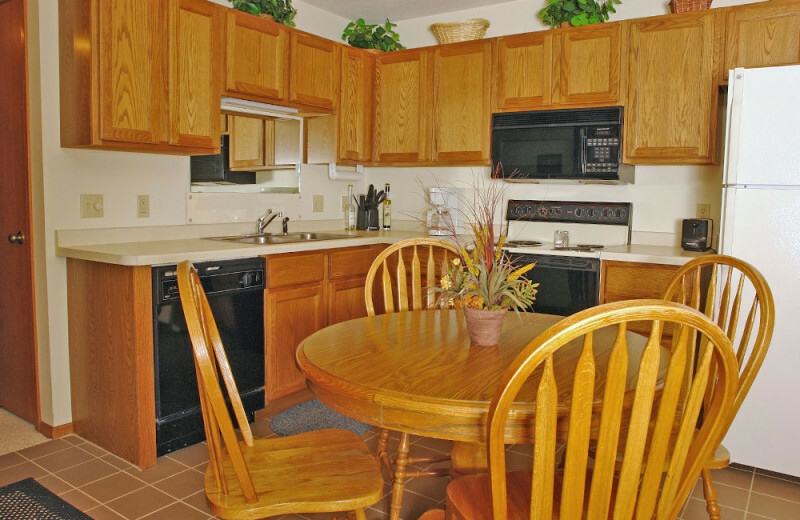 Enjoy private balconies or patios, flat-screen televisions, and full kitchens. 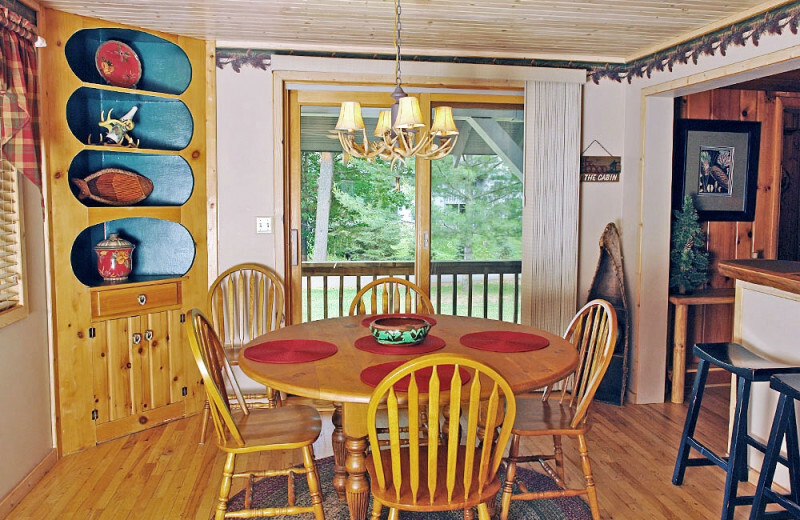 The Cottage is decorated in traditional Northwoods style and emphasizes the importance of loved ones with a large family room and picnic table. 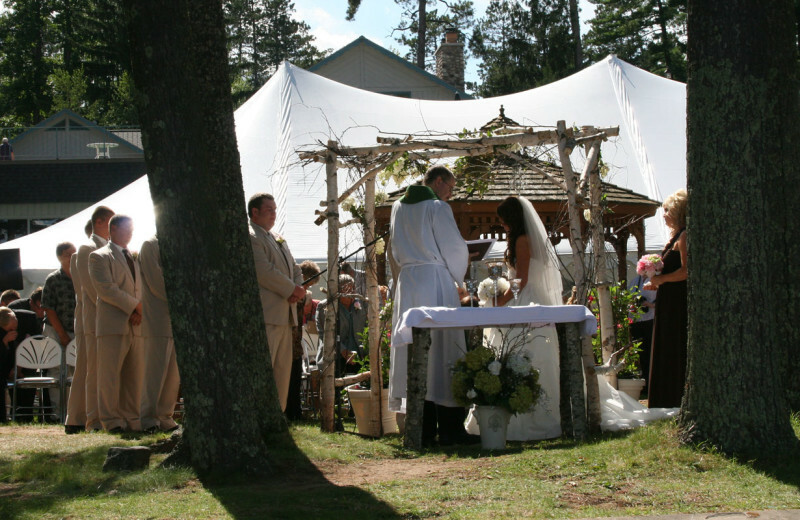 Plan your next group event at The Beacons of Minocqua. For more information please call +1 (866) 339 - 1835 or Send Inquiry. 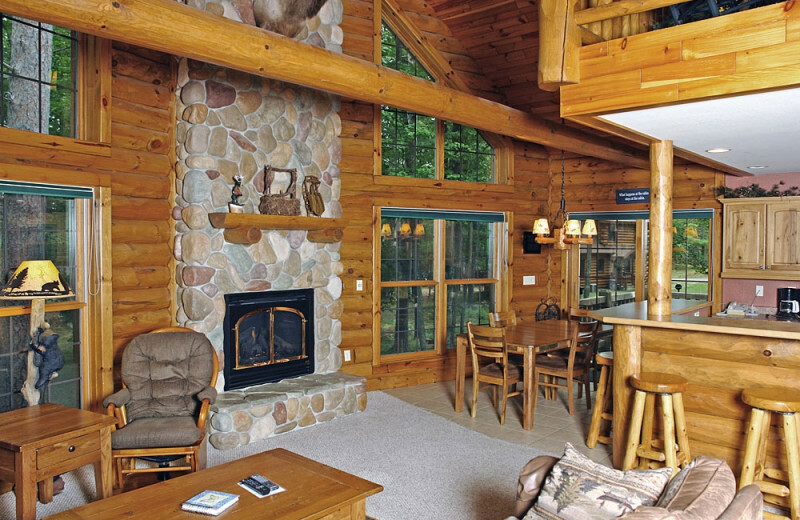 This property is ranked number 2 on Top Wisconsin Winter Getaways. Read about it here.